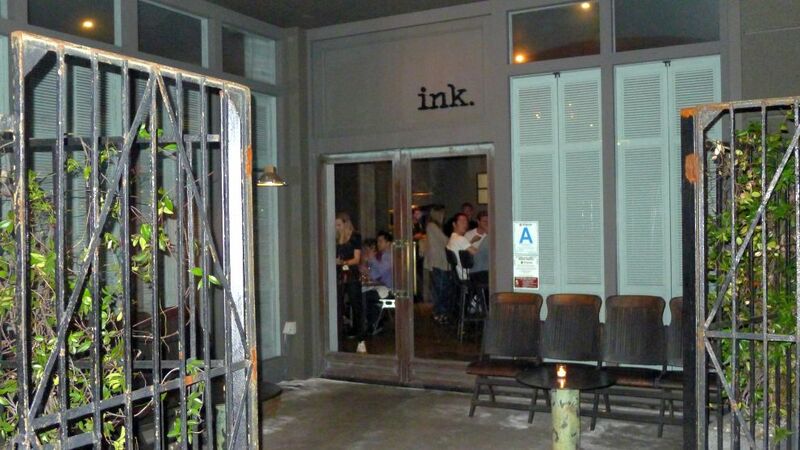 A few years ago we had the chance to eat at the Dining room in Pasadena where Michael Voltaggio used to be the executive chef. 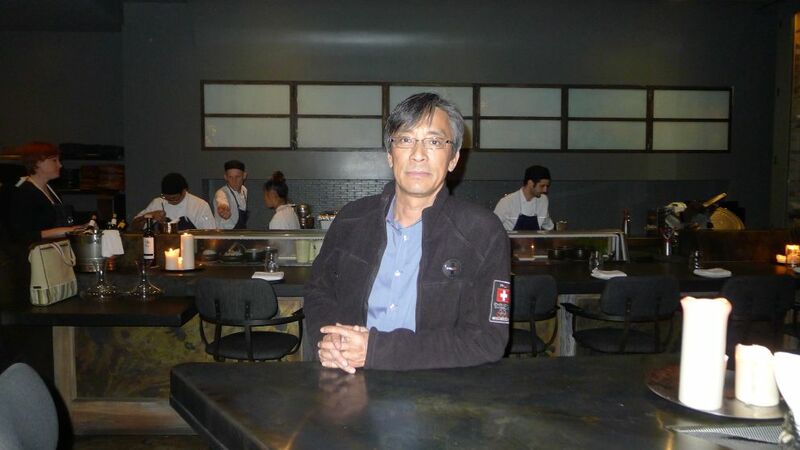 Michael introduced us to molecular gastronomy and we are a fan of his ever since that memorable meal. 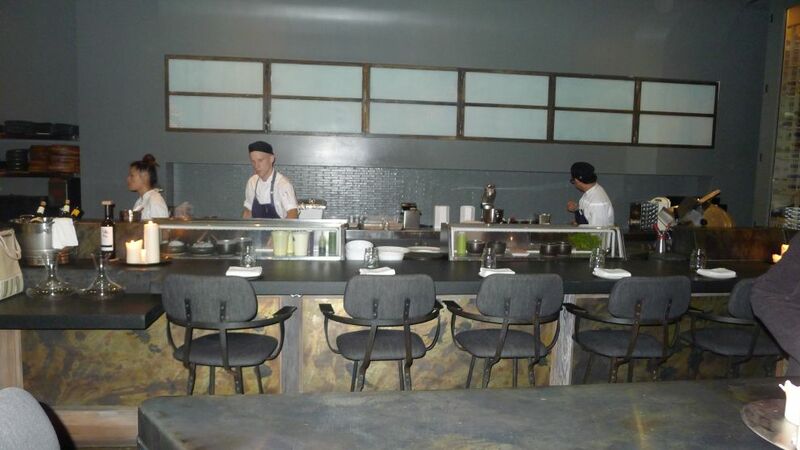 In December 2009 Michael was crown the winner of Top Chef season 6 and the show gave him the notoriety and the recognition he deserved. Before working at the Dining room Michael was chef de cuisine at the Bazaar by José Andrés in Beverly Hills and during his tenure there he earned a four stars and was nominated "Best restaurant of the year 2009". And after his wild ride on "Top Chef," he signed on as executive chef at the Langham hotel in Pasadena which turned out to be a mismatch! Michael is rebel and the Dining room is very formal and pretty stuffy and probably did not give the creativity he wants but it gave him plenty of time to think about what he'd really like to do once he got his own place. 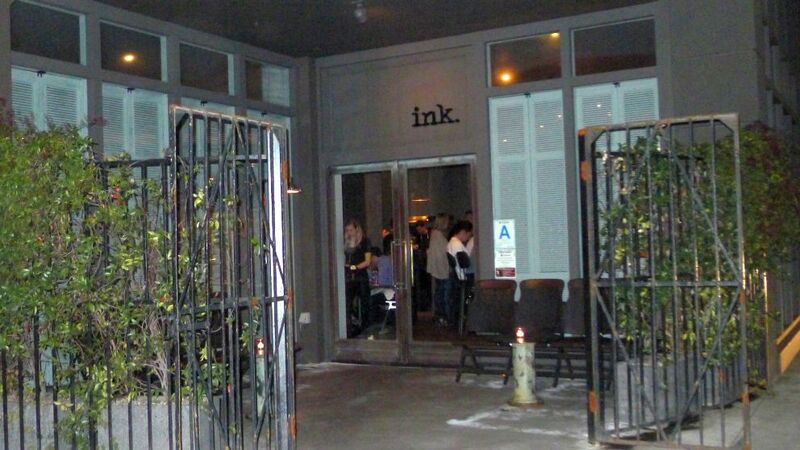 The Dining room closed for remodeling and Michael left to create his own restaurant "INK" in west Hollywood. 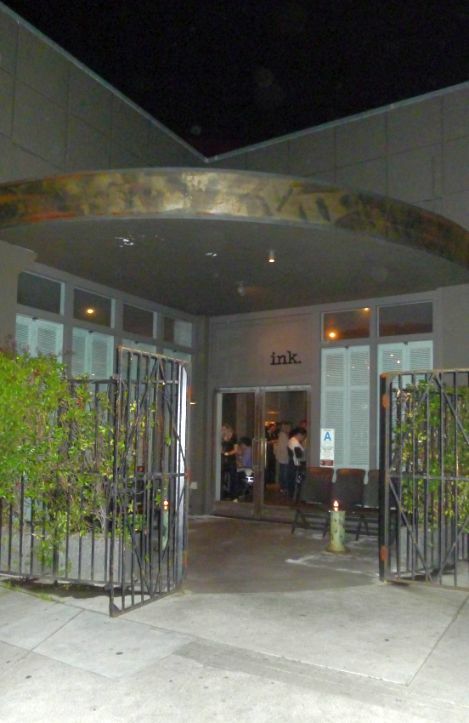 INK opened its door in September of 2011 and Hoa and I we have been talking about making a trip to Los Angeles so we can give it a try. 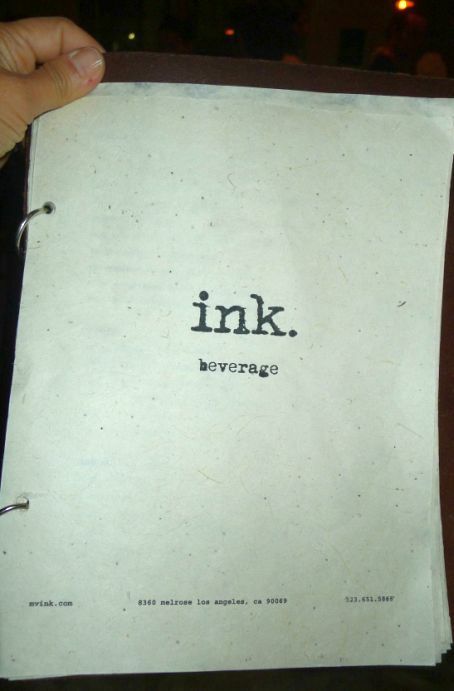 With a busy schedule we were never able to make it down there but we usually come down to Irvine to visit Kevin and so we purposely stop by in Los Angles just to eat at Ink. 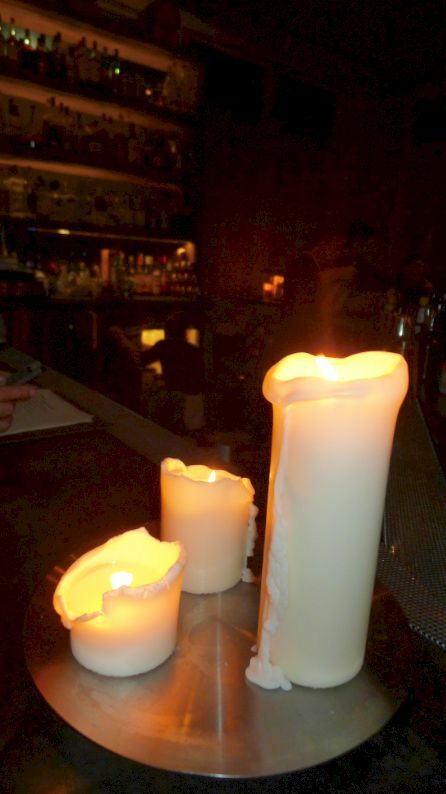 Reservations are hard to come by and are taken online up to 14 days in advance so plan ahead. 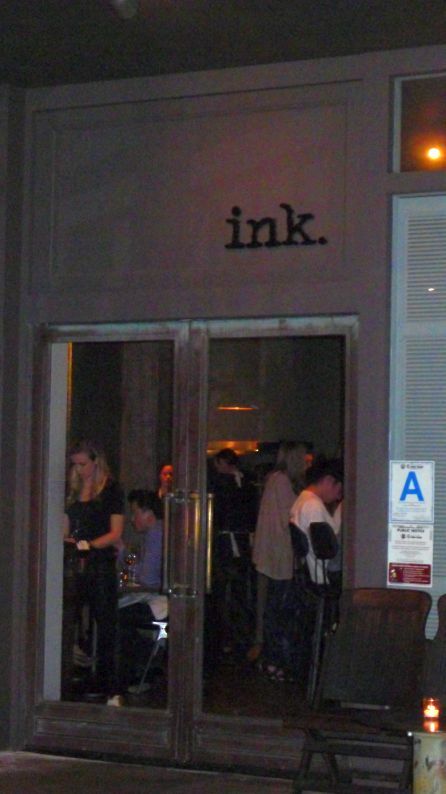 Ink has just been named Best New Restaurant in America by Alan Richman of GQ. 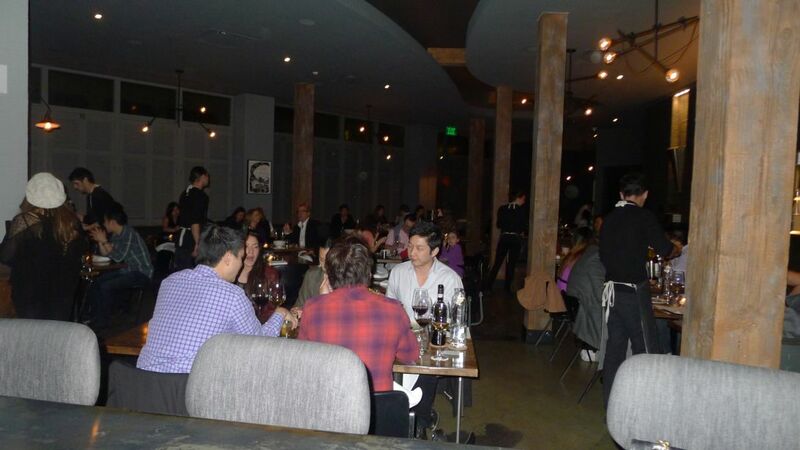 The restaurant in located on Melrose avenue which is a known area for shopping with upscale boutiques, dining and entertainment destination in Los Angeles. The restaurant has a really cute patio in the front. Looking in the restaurant from the outside. Our reservation was at 7:30PM! In the summer when the weather is nice I am sure people will wait outside while waiting for a table. There are plenty of space to sit down and mingle. 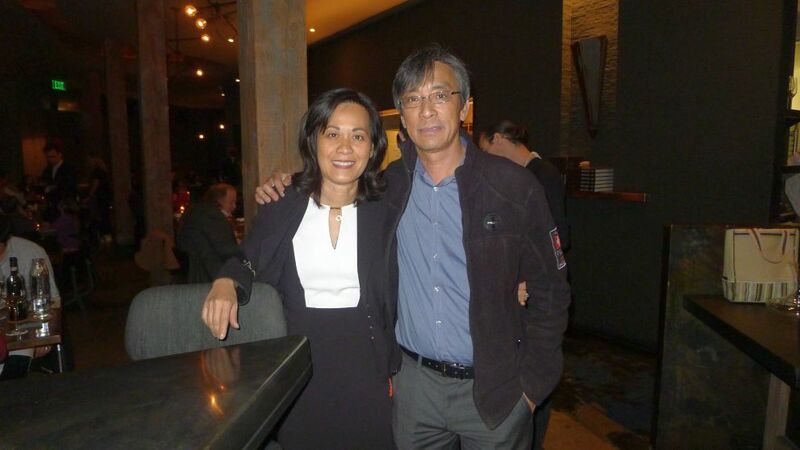 Hoa and I at the bar. Next to the bar is a long counter where people can eat without having a reservation or if the bar is full people can spill over this area while waiting for a table. 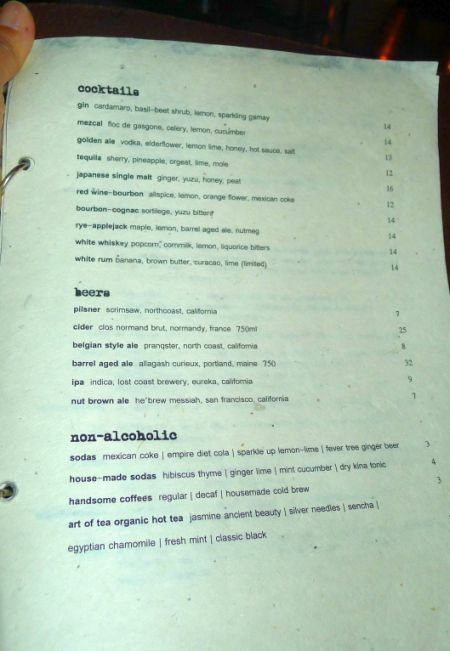 Hoa looking at the cocktail menu. 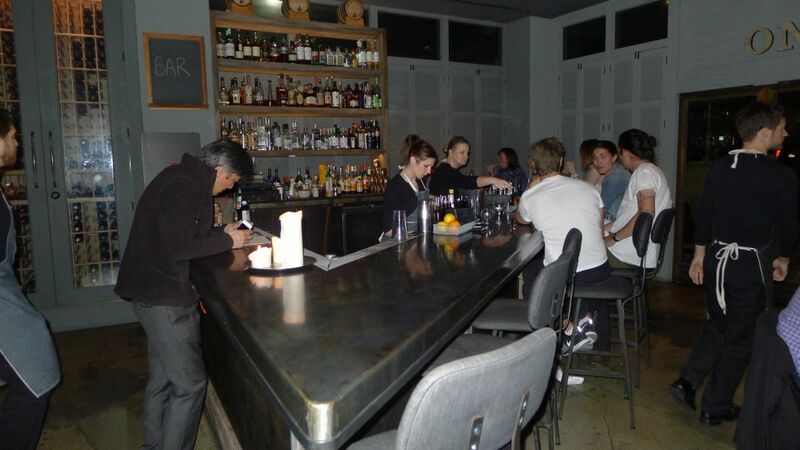 The bar is fairly small and can only fit about 10 people. 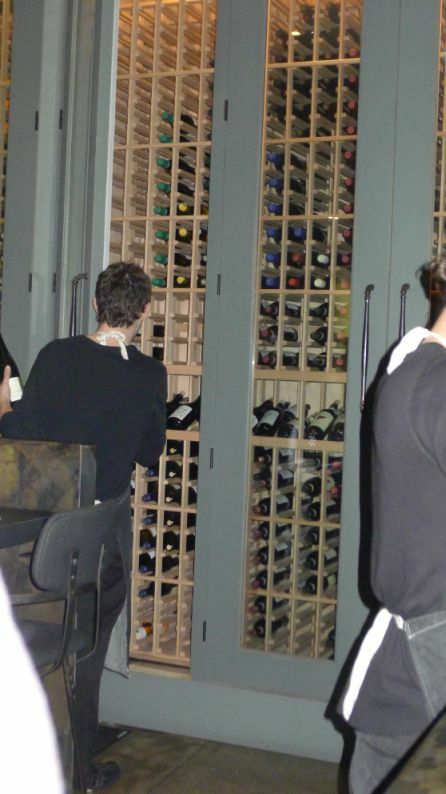 Behind the bar, against the wall is a floor to ceiling wine cellar. 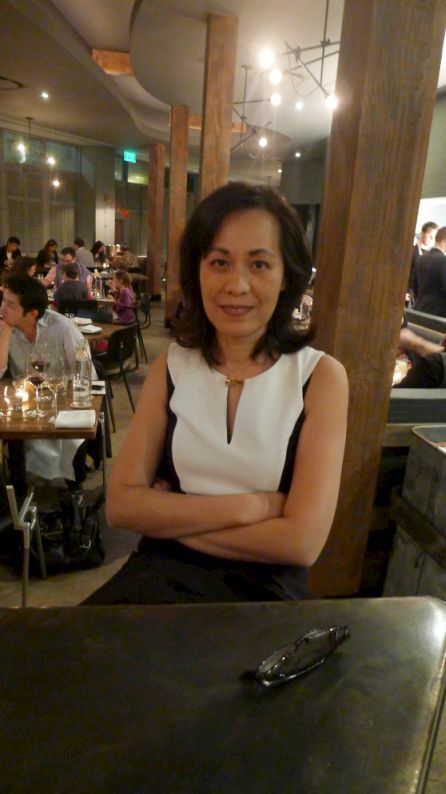 Behind me is the dining room. View of the dinning room from the bar. 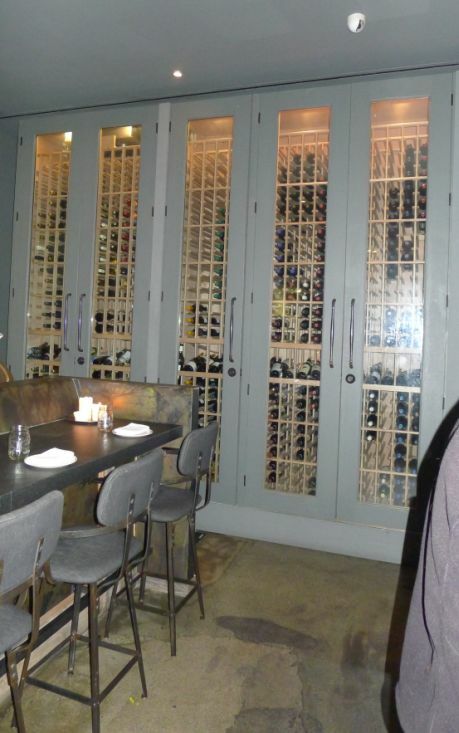 The dinning room has an industrial loft look with wrought-iron chandeliers, cement floors, and wooden table.